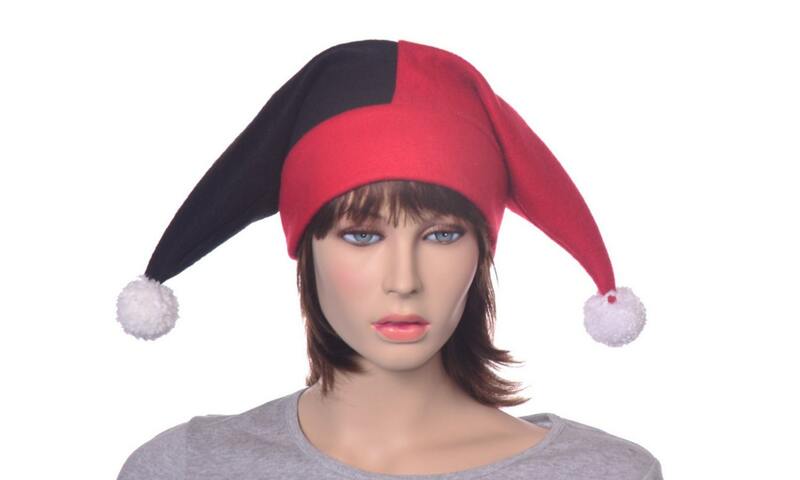 Two pointed Jack In the Box style harlequin hat. 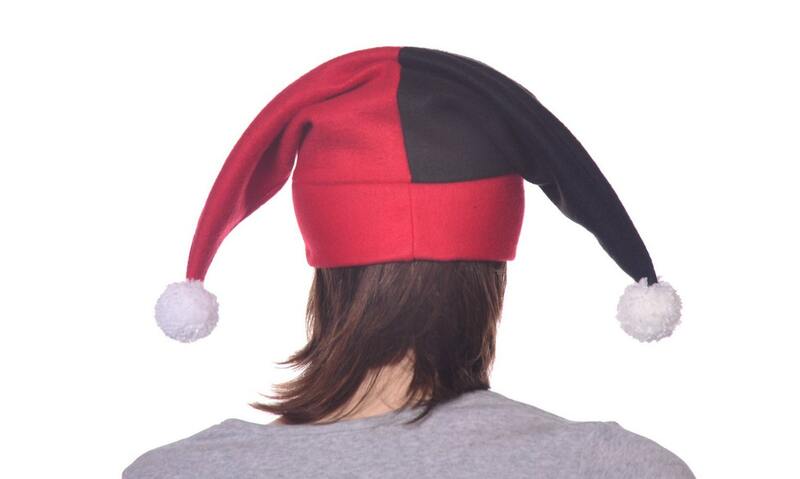 Two short tails in red and black. White hand tied pompoms trim off the tip of each tips. Double thick red headband. 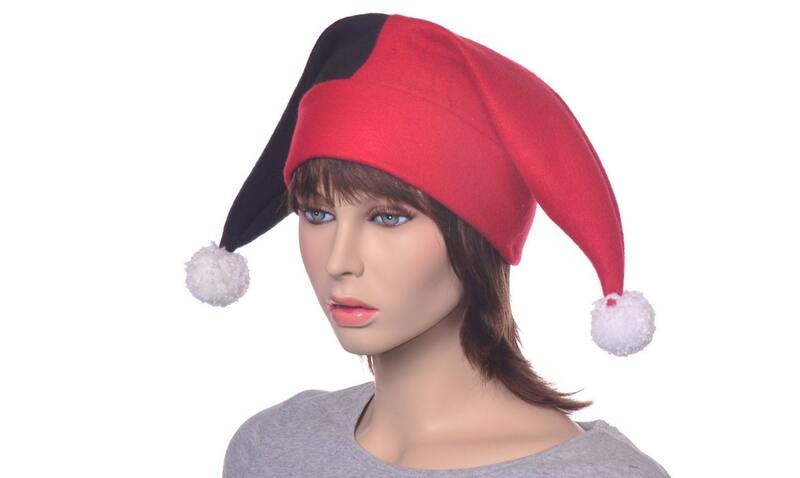 This hat is made from fleece. 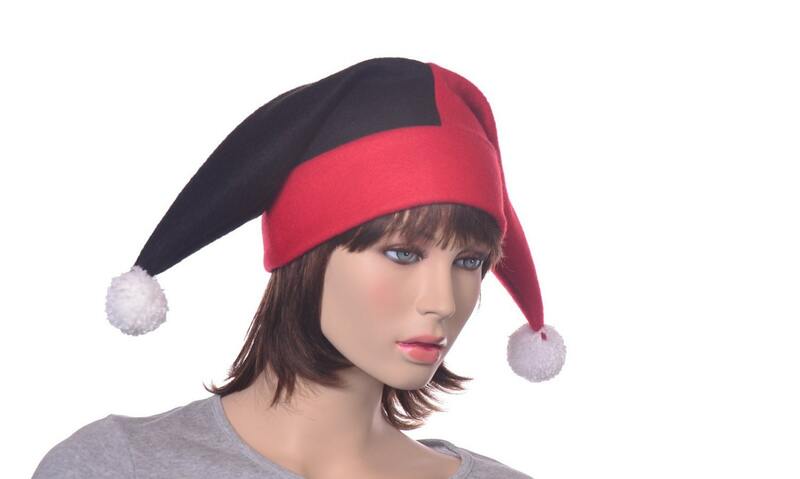 Made for adult men and women fits heads measuring 22-24 inches.